Avondale, Arizona to/from Phoenix Sky Harbor International Airport (PHX). Great Flat Rates! More often than not, our town car flat rate fares to and from Avondale and the Phoenix Airport (PHX) are less than taxis charge for the same service. So, why travel in a taxi when you can travel to the airport in style and comfort in any one of our luxury vehicles. >> VIEW OUR RATES. A Luxurious Vehicle Fleet. Whether you are a single executive, traveling couple or a large group, Roadrunner has the right vehicle for you. Depending on the amount of passengers, Roadrunner Limousine’s fleet includes town cars, limousines, SUV’s, passenger vans and even 30+ passenger coaches. All our vehicles are clean, comfortable, private late model luxury vehicles equipped with GPS Navigation systems. 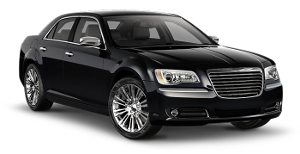 So, why take a bumpy taxi from Avondale to PHX when a luxury vehicle is available at Roadrunner Limousine? Roadrunner Limousine, serving Avondale and Phoenix, Arizona, provides exceptional service for its executive clients. Our executive guests expect reliable, convenient and comfortable transportation to or from Avondale and the Phoenix Sky Harbor International Airport. As important as it is to provide our executive passenger with optimum service, working effectively with their executive assistants and travel coordinators makes everyone’s job easier. For them, we have a state-of-the-art online booking and account monitoring system accompanied by a highly trained staff to help develop and execute the most sophisticated travel plans that any busy executive or corporate group might need. First Time Coming to Avondale, Arizona – Did You Know? Avondale’s founding father, William “Billy” G. Moore, arrived in Arizona in the late 1860s, settling near the Agua Fria River in 1880. Billy Moore called his settlement “Coldwater, Arizona” – apparently both for the river and the water that flowed from a local spring. He served a brief stint as Justice of the Peace for the Agua Fria area. He bought land, established a stage stop, erected a saloon and a general store, and was Postmaster of Coldwater from 1901 till 1905. In the early 1900s, the Coldwater post office moved to a site near Avondale Ranch. The post office soon became known as Avondale, and the name Coldwater was discontinued. In December 1946, the City of Avondale was incorporated. Avondale is a city in Maricopa County, Arizona, USA. According to 2010 Census Bureau, the population of the city is 76,238. Avondale is the home of Phoenix International Raceway, an auto racing facility. Westview High School, La Joya Community High School, and Agua Fria High School are high schools in Avondale. Nestled at the base of the scenic Estrella Mountains where the Agua Fria and Gila Rivers meet, Avondale is located along the Interstate10 corridor, and just a 15-minute commute from the heart of Phoenix. Avondale’s freeway development sites are premium locations in the metro area for new stores, restaurants, hotels, offices and business parks. Over 2.3 million individuals are within a 30-minute radius, and the Phoenix valley wide population is over 4 million. The quality of life and the variety of cultural, economic, geographic and educational advantages in the area provides a progressive atmosphere rich in resources and opportunity. Avondale and its environs offer numerous recreational activities, an array of dining and entertainment venues, as well as housing to suit any budget.